Mortal Kombat (2011-2013) > Jazwares Inc.
Jazwares received a mixed reaction from collectors when it was revealed they would be taking over the Mortal Kombat license for the 20th Anniversary line of figures. This being their second time with the license, the company received criticism for flimsy limbs that often became damaged or pop off of bodies. Others didn't care for the lack of characters released in the first run. Jazwares answered criticisms from collectors offering new molds of all figures from the first wave that included Scorpion, Sub Zero, Johnny Cage and Raiden. The company also released many characters in 3.75-4" scale and a few new faces in 6" form. 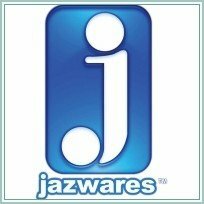 Jazwares declined comment on social media to address the lack of new series or figures. Eventually the company revealed they had not renewed the license. In 2014 at San Diego Comic Con Mezco Toyz announced they had acquired the license and would produce new 6" figures, though nothing was shown. 3 Pack: Cyrax, Sektor, and Smoke. - Lightning Fury Raiden Figure was eventually sold in Toys R Us in addition to being an SDCC Exclusive. - This was the first wave of Mortal Kombat with Jazwares re-securing the license.